MackieMade Paper Creations: Paper Sweeties February Release Countdown! It is February 14! Happy Valentine's Day!!! AND it is time for the Paper Sweeties February Release Countdown! 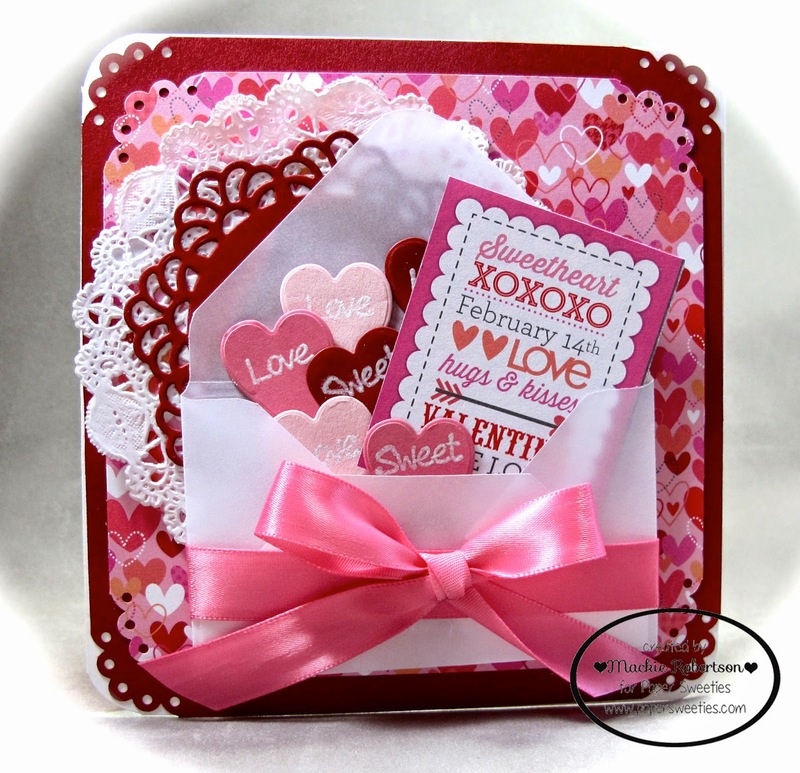 The new releases were perfect for my Valentine Card that I am sharing with you today. I die cut several hearts in red, pink and dark pink with the Pretty Posies Sweet Cuts. I then stamped each heart with one of the sentiments in the Garden Time stamp set. I wanted them to look like the valentine's candies that are so popular this time of year. I made the envelope with vellum and my EK envelope punch. The little card tucked into the envelope with my "heart candies" was a tag that came with the pretty paper pad that I used. 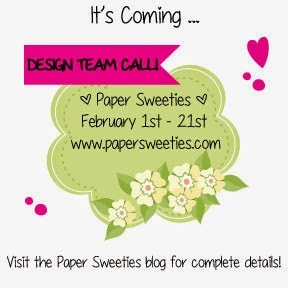 Now go see what my Paper Sweetie Teamies have created! Such a sweet Valentine Mackie!!!! I love the conversation hearts you created!! So sweet! Love love love love this so much! LOVING all the hearts in the envelope!!!! Gorgeous color! Love all those sweet hearts in the envelope! What a great Valentine card...love it!!! Happy Valentine's Day Mackie! Your card is gorgeous! Love all the layers and conversation hearts! LOVE the envelope full of Valentine's sweetness! FAB punched corners and paper, too! Happy Valentines Day, Mackie! What a sweet, little pocket of love! Absolutely perfect for such a happy occasion ;)! Happy Valentine's Day! This envelope full of valentine love is so sweet! Amazing!! !